This summer, Brian Clowdus Experiences breathes new life into the thrilling story of undying love and adventure with The Noccalula Experience. Experience the spectacular tale in its storied home of Noccalula Falls Park as you take in the site’s breathtaking natural views of its legendary, cascading falls. 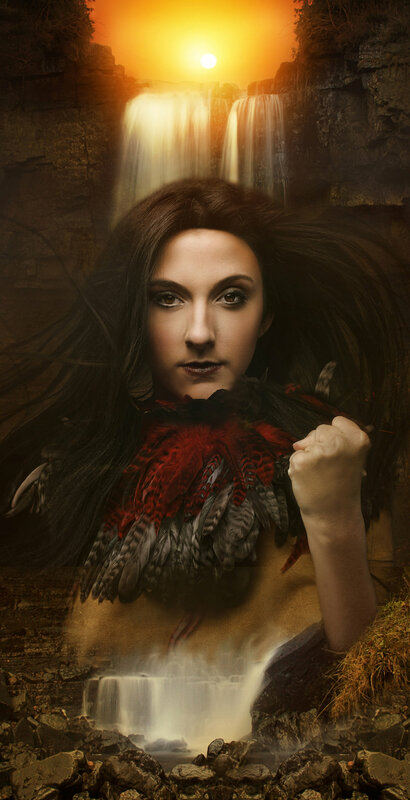 Noccalula is the saga of a young woman torn between a powerful love and her sense of duty to her people. Infused with authentic elements of Native American culture, this original telling creates a brand new significance and brings more power and excitement than ever before. Join us for a journey steeped in romance and exhilaration as Noccalula rules her own fate in the face of her beckoning future. Join Brian Clowdus as he returns home to Gadsden amidst a national career in theatre, returning to his roots in the most immersive and groundbreaking experience you have ever witnessed.... will you take the leap with him this summer? Tickets are on sale now by clicking the above link. Pre-sale is $17.50 for kids age 4 to 12, $20 for adults and 3 and under are free. “At the door cost” is $20 for kids, $22,50 for adults and 3 and under are free. The Noccalula Experience is an immersive outdoor theatrical adventure that includes walking a portion of the park trails and standing for up to an hour. Accommodations can be available for those with accessibility needs.